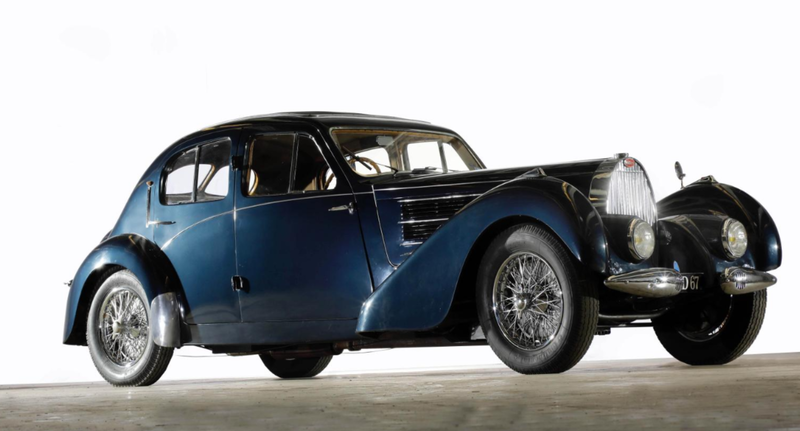 There are more expensive and rarer Bugattis – Type 57s even – available during the auctions in Arizona. Gooding has one, in fact, but the color scheme isn’t as good as this one. That’s right, I picked this one, not for rarity, but for color. Another Atalante will come up for sale at some point and I will feature it then. 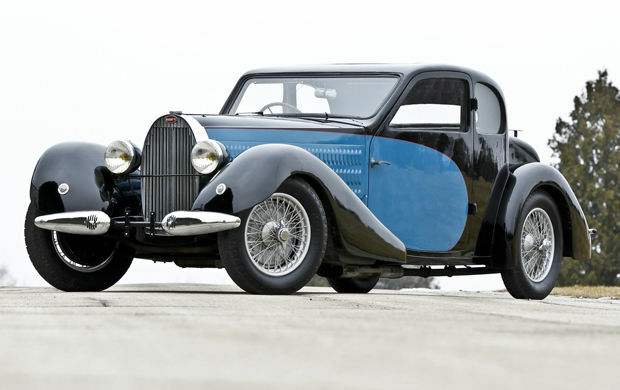 The Bugatti Type 57 was new for 1934. It featured a 3.3-liter straight-eight making 135 horsepower. 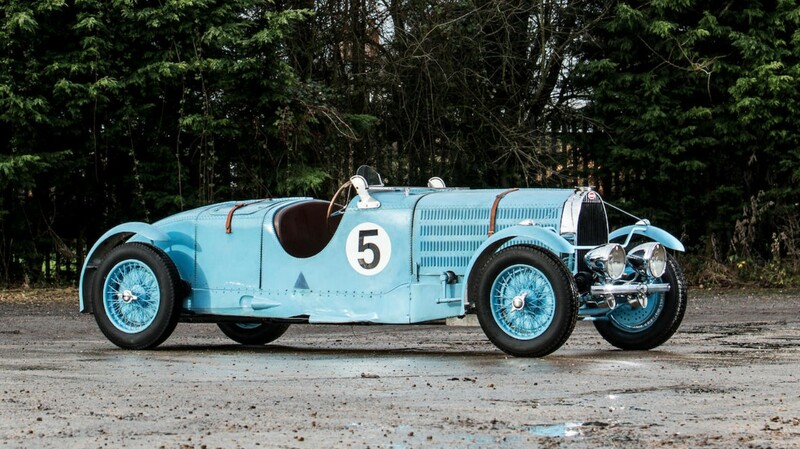 Bugatti themselves bodied many of the cars, with this being the “Ventoux” two-door saloon. 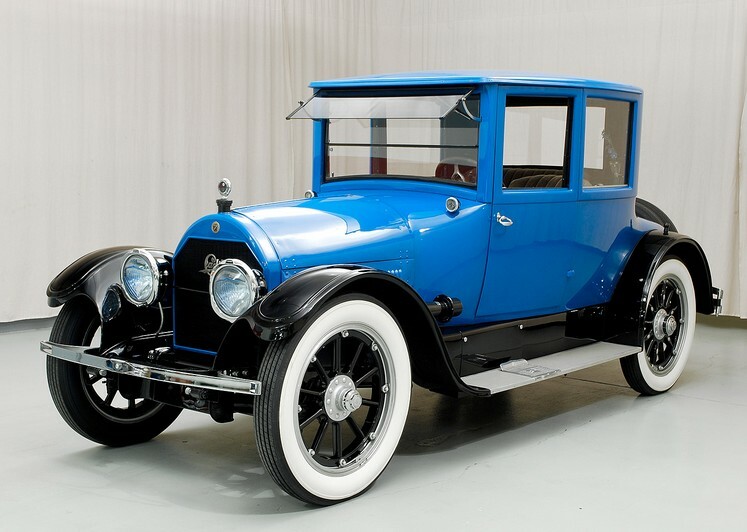 It was finished without running boards but has that brilliant two-color paint scheme with a bright blue inlay over black. It’s a good-looking if not sporty car that’s got all the fancy for a fraction of the price of “greater” Type 57s. In total, over 700 Type 57s were built. This car arrived in the U.S. around 1970 and has been cared for over its life. Never having been restored – just tended to as needed – the car shows some wear, but has wonderful touches of originality that hopefully won’t go away. It has its original engine and is certainly roadworthy. It should sell for between $250,000-$325,000. Click here for more info and here for more from Gooding.